Jared Kushner has not applied for a role in the administration of President-elect Donald Trump, nor has he applied for security clearance, Trump adviser Kellyanne Conway said today. Kushner, 35, has been married to Trump's eldest daughter, Ivanka, since 2009. He has been a close adviser to Trump and a mainstay at the Trump Tower while the transition teams maps out next year's administration. Conway said Kushner, who inherited a real estate fortune like Trump, is taking into consideration his business responsibilities in New York City as well as the three small children he and Ivanka are raising. It was announced last week that Vice President-elect Mike Pence had been chosen to lead the Trump transition team, replacing New jersey Gov. Chris Christie as chair. Trump has named former Republican National Committee chairman Reince Priebus as his White House chief of staff and Steve Bannon, Trump campaign CEO and executive chairman of Breitbart News, as his chief strategist and senior counselor. Ethics chiefs for both President Obama and former president George W. Bush have questioned the legality of having Kushner in a top White House role. Conway said that family members are important to every president, including the Bush family. Conway said she is also considering a job in the Trump White House, but weighing it with her family obligations. Kellyanne Conway discusses President-elect Donald Trump's transition and White House administration on "Good Morning America." Senate Democrats, including newly elected Senate Minority Leader Chuck Schumer, Elizabeth Warren and Bernie Sanders, have said they can build bipartisan coalitions if Trump focuses on issues like reforming trade bills, paid maternity leave and infrastructure. 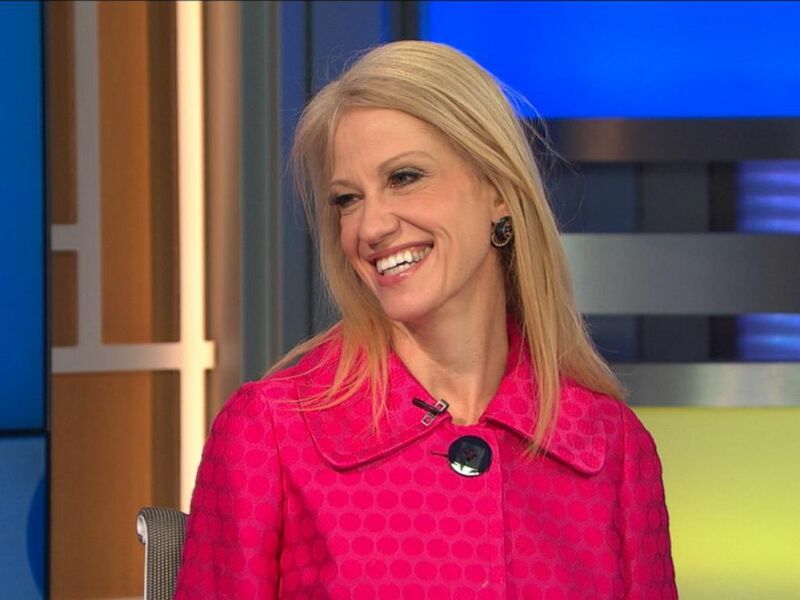 Conway said “yes” when asked whether that is the direction Trump will take once in office. Conway listed job creation, infrastructure, energy investments, a “different direction” for health care, immigration reform and defeating radical Islamic terrorism as highlights from Trump’s 100-day plan. She also asked again for patience in allowing the Trump transition team to put an administration in place.